Manama, Jan. 22 (BNA): The Minister of Industry, Commerce and Tourism (MOIC), Zayed bin Rashid Al Zayani has asserted that the partnership with the private sector on tourism projects, including the recently announced underwater theme park, embodies the Kingdom’s economic vision, which emphasises the private sector’s role in driving economic growth. The Minister’s statement followed the announcement by the Personal Representative of His Majesty the King and President of the Supreme Council for Environment (SCE), HH Shaikh Abdullah bin Hamad Al Khalifa, that the Kingdom is set to establish the world’s largest underwater theme park, with a submerged Boeing 747 passenger jet as its centerpiece. 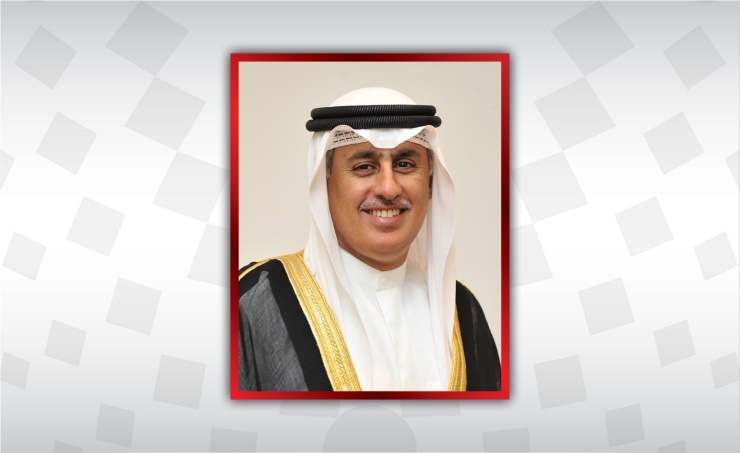 Al Zayani noted that the project, launched in partnership with the SCE, Bahrain Tourism and Exhibitions Authority (BTEA), Diyar Al Muharraq and a number of private entities, will further support the Kingdom’s reputation as a distinct tourist destination in the region. He added that the unique dive site covers an area of 100,000 square metres, and that the 70-metre long decommissioned Boeing 747 at its centerpiece is the first time an aircraft of this magnitude has been submerged underwater and adapted to allow safe access and enjoyment for divers. In addition to the aircraft, the dive site will also include a replica of a traditional Bahraini pearl merchant’s house, artificial coral reefs and other sculptures that will be fabricated from eco-friendly material, and submerged to provide a safe haven for coral reef growth and a habitat for marine life. The minister emphasised that the new project will provide an enjoyable experience for tourists and diving enthusiasts, given the large area it covers, and will provide rich data on marine ecology and biology for scientists and researchers. He underscored the success of investing in the Kingdom’s eco-tourism sector, which has provided promising opportunities for the private sector, such as the national plan to revive the pearl industry, launched by the BTEA in partnership with MOIC in November 2017. The revival of the Kingdom’s pearling industry aims to protect Bahrain’s marine environment and establish a mechanism to regulate pearl diving, and reinforce Bahrain’s reputation as the home of the world’s finest natural pearls. Al-Zayani noted that since the launch of the project, the number of pearl diving tourist trips has reached 161, with the participation of around 1,000 divers and tourists. He further noted that there are five pearl diving companies that are licensed to operate, and the number of centres applying for licenses is increasing in view of the process that has been facilitated by MOIC. He added that tourism is a promising sector of economic priority, and an important source of income diversification, taking into account the rapid growth of the sector's contribution to GDP, which increased from 3.4% in 2015 to 6.5% by the end of 2018. Al Zayani reiterated his gratitude to the private partnerships and initiatives which have had a positive influence on projects, such as that of the newly launched dive park, which represents a promising investment, and a new exciting tourist attraction incorporating the highest international environmental standards, reflecting Bahrain's diverse environment for marine life. The minister concluded by stating that work on the mega-dive site has already started and is expected to be finished before the start of summer, employing a number of local divers and public and private sector environmental entities.